Crave’s End of Summer Shindig! We heard what Mark had to say and decided it was time we did something about this hot hot heat. Join Crave Catering this Wednesday, August 7th to celebrate all things summer. Let’s beat these record high temperatures with our delicious treats and eats! We will be hosting this great event with help from our lovely sponsors that always seem to bring the “cool factor” with them. Come enjoy a day filled with great company, chill people and delicious food. We hope to see you there! 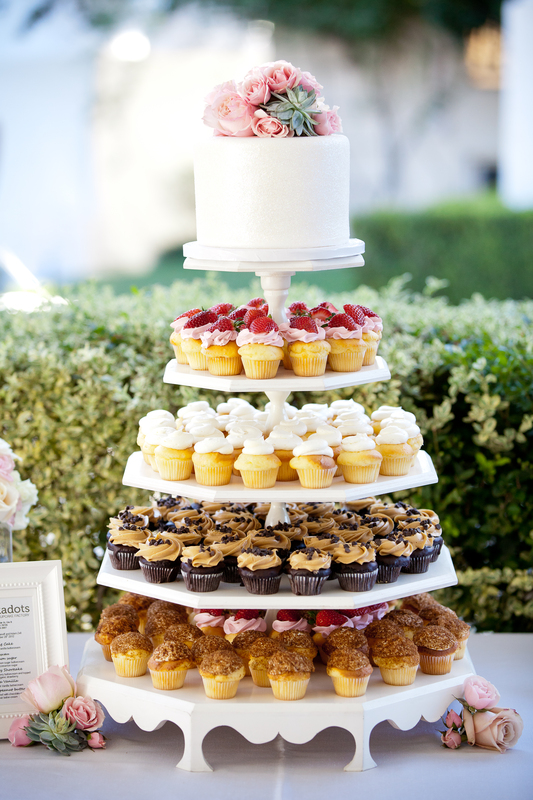 Here at Crave Catering we know event planning can come with many stresses, but we want to make sure that communicating with your caterer is easy as pie. There are some catering terms that may get lost in translation and we are here to interpret them to make your catering experience the best yet. Below are some common words you may hear in the catering world. 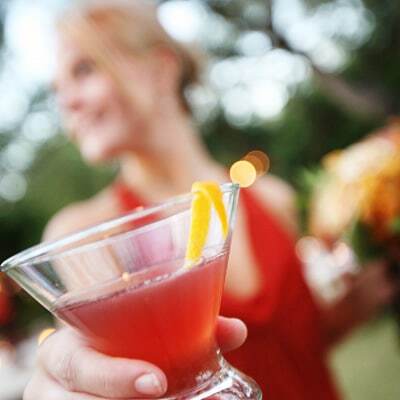 Soon, you’ll be well on your way to throwing a great event and being a first-class host! A la mode: A phrase meaning that dessert (normally pie or cake) will be topped with ice cream. Hors d’oeuvres: An appetizer served before a meal. Amuse-bouche: A bite-sized hors d’oeuvre that is prepared according to the chef’s selection. A French word for “mouth amuser”, these mini delicacies are great to tide you over before the first course. 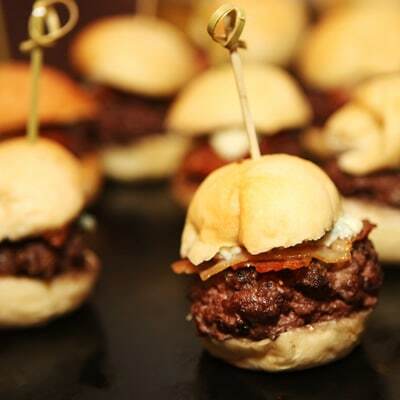 One of our favorite examples of amuse-bouche style catering are our mini kobe beef sliders. Apéritif: A light alcoholic beverage served before dinner. Normally used to stimulate the diner’s appetite. Canapé: These are bite-sized snacks that are often served at cocktail parties. Most consist of thin pieces of bread or cracker topped with endless combinations. 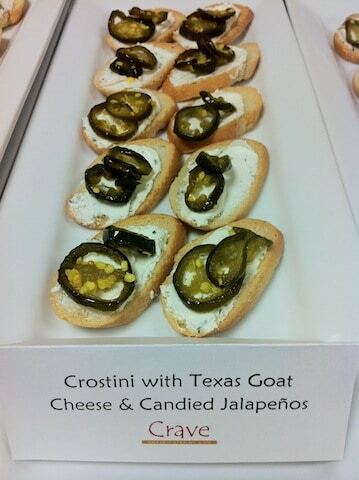 Our delicious crostini’s spread with local Texas goat cheese and topped with candied jalapeños are quite the treat. Displays: These are foods that are placed on a table and people serve themselves. Fruit and cheese are often presented in this manner at receptions. This is one of our cheese and fruit displays we did for a wedding. The amazing cheese tray included triple cream brie, manchego, gouda and gruyère with candied pecans and fresh grapes. Now that you have become well versed in the ways of catering, we hope you can use some of the lingo to show off your learned knowledge. Send us an email to see our various menus as well, we’d be happy to “talk catering” with you! Food trends for the year can be tricky to pinpoint, even for restaurateurs and professional caterers. Unlike in fashion where “one day you’re in and the next day you’re out,” food themes tend to progress more slowly over time. After reading an extensive array of articles predicting the food trends of 2013, we created a compilation to share what’s buzzing in the industry when it comes to what clients are expecting this season. Innovative recipes and twists are taking these once exotic foods and familiarizing them with Americans. Kebabs, empanadas, tacos and knödels no longer have to be seen as foreign eats and can easily be incorporated together to create a mix of dishes that are globally inspired. Blending ethnic spices and flavors into traditional dishes is also something that has piqued many chefs’ curiosities. The 2014 FIFA World Cup has seemed to spark an interest in Brazilian cuisine as well, from churrascarias or Portuguese-style barbeque, to their national dish of stew and beans known as feijoada. A new craze surpassing the basic pickling of foods, fermentation has been rising to the top of the charts. From kimchi to sauerkraut, this process has been touted as a healthy alternative to foods that may be harder to digest in their raw state. Fermentation allows for the addition of good bacteria and microorganisms to break down and transform these foods, which can then improve our bodies’ digestive and immune functions. Super grains are an ever-growing trend that has sprouted from the efforts of making your daily grain consumption at least 50% whole grain. Some of these ancient grains have now substituted rice and wheat and are easily processed and highly nutritious. Keep an eye out for these cereal grains including spelt, khorasan, millet, freekeh and teff, which are all high in fiber, proteins, iron and vitamins. 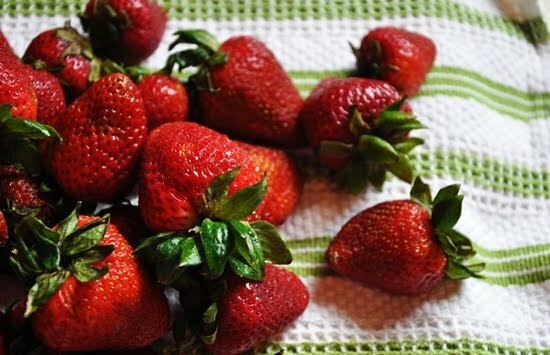 Make sure to check up on all the food trends of 2013 to stay updated with what’s “in”. At Crave Catering, we like being in the know and are always looking for new recipes, combinations and food trends to please everyone’s palate. Give us a call to brainstorm for your next shower, party or event. Below are the original articles used in this compilation, make sure to take a look! Meetings and conferences can often run into problems when productivity levels get low. This point seems to coincide when people stop worrying about the presentation and drift off into thinking about what they’re going to have for lunch. Providing a catered meal allows the meeting to flow more smoothly. Everyone seems to have higher energy levels on a full stomach. Consider serving healthier lunch options to fuel everyones creativity. We recommend a healthy array of salad, delectable sandwiches and tasty desserts. Probably the best reason to hire a caterer at your next conference is to impress a client or potential business partner. It can help promote your company in the eyes of your clients as well as establish a good reputation. Trust us, after providing a delicious meal your hospitality will not go unnoticed. Providing catering is also a great way to show employees that you value their hard work and effort. In return, this can even create a better work environment for the company as a whole. Business meetings are a place for company involvement where catering can act as an incentive that promotes more involvement from employees. In contributing a common ground and amiable atmosphere, the mood of the meetings are less tense and employees are able to foster trust and develop closer relationships with other staff members. Crave Catering is able to create the perfect feel for your next business meeting, conference or corporate event. Our menus are planned with your company in mind so give us a call to schedule our services. Consider our mini Monte Cristo sandwiches, they are quite delicious! Today we are showcasing Polkadots Cupcake Factory. Opened by husband-and-wife team Olga and Ben in 2008, the cupcake factory speaks for itself. 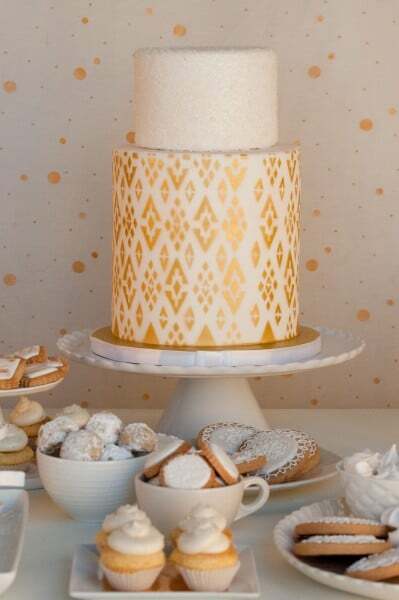 Providing delicious and creative cakes, cookies and cupcakes, Polkadots strives on creating detailed and delectable masterpieces. Let’s get to know them a little better! 5 years as of June 6th of this year. cakes and cookies as well so we obliged. We take pride in the details of our work. Our cakes have clean lines, sharp edges and they are delicious.We bake cupcakes daily and they are available for purchase Monday-Saturday 12PM-8PM either for walk-in or delivery in the Austin area. 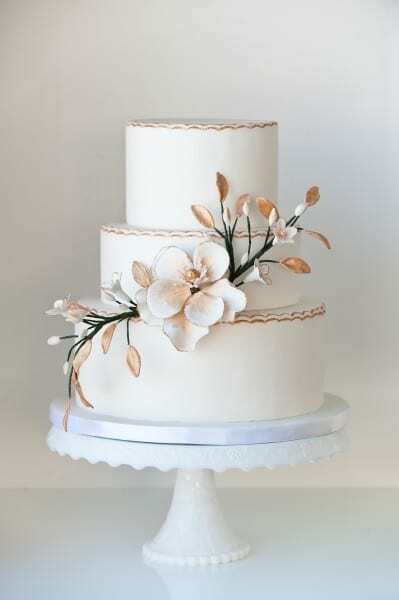 We also do custom cakes, wedding cakes, cake lollipops, macaroons, or any custom desserts. We create our special deserts just for you! be a part of their special day! They are very organized, on time and create delicious food! What has been your favorite event (or one of them) that you have done? Festival. We love the organization because it gives Austin’s youth a better chance to learn through the Young Filmmakers Program. It is a free film education program implemented through local Austin high schools. They also have the Arts Education Outreach Program which grants over 300 scholarships to high school students to attend the annual festival, conference and Summer Film Camp. swatches for the party or color themes for inspiration. Check out the amazing detail, creativity and elegance in their designs! Have your business events gotten a bit dull over the years? It may be time to give your corporate events or parties a fresh new look and feel by adding a unique theme. Not only will they provide an enhanced appeal to the festivities, but it can also create a new and enjoyable atmosphere. A country western night could be a great change of pace. Get everyone out of their suits and into some cowboy boots. 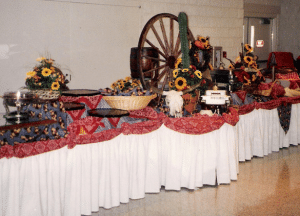 Invitations can be in the shape of cowboy hats or horseshoes while decorations can include anything from wanted posters to checkered table cloths and barrels of hay. Catering could consist of ribs, brisket, ranch style beans, corn bread and cole slaw served buffet style. Don’t forget to two-step the night away on the dance floor! Have a night out at the casino– filled with gambling, great food and champagne. Give out a set amount of playing chips to your guests at the beginning of the night. 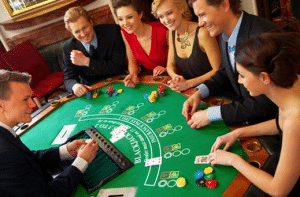 Set up poker, black jack and roulette tables as well as an area to claim prizes for their winnings. If your company works with a charity, provide a table where real bets are placed and all of the winnings are donated to the charity. Hire servers to walk around with trays of finger foods and drinks to complete the casino theme. 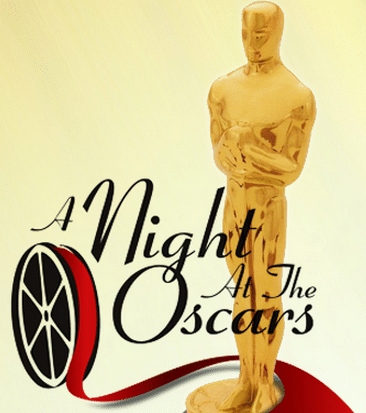 Bring out the formal wear and glam up the corporate scene with a night out at the Oscars. This could include a more elegant dinner along with an awards ceremony to add to the entertainment. Music could include various movie theme-songs. Whatever theme you choose, be sure the food accompanies it well by allowing Crave Catering to provide creative concepts for your next corporate event or party. We pride ourselves on collaborating with our clients in detail to bring a synergistic and exquisite balance to the vision you have set out for your event. Let us worry about the details! Austin is a great place year-round, but the summer months are a special treat. Sunny days spent outside by the lake, bike rides and live music shows are a great way to enjoy those hot months in our great city. 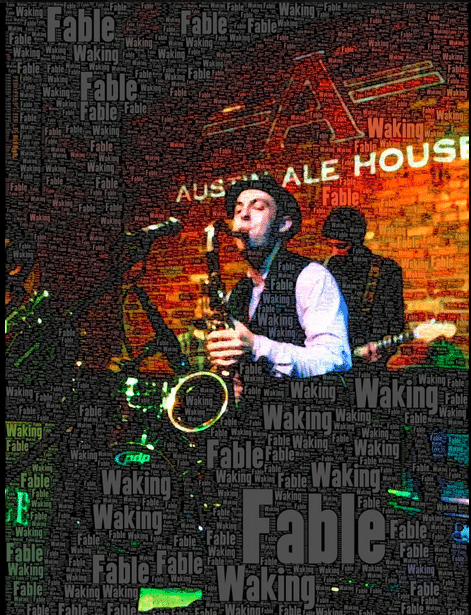 If you are looking for something fun and adventurous, check out some of the events that are coming up soon and remember to Keep Austin Weird! 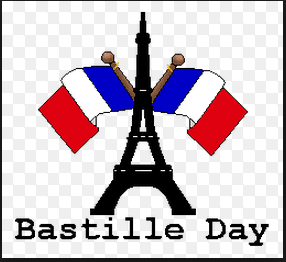 Celebrate this French national holiday with the Alliance Française d’Austin where you can enjoy all kinds of French delicacies. Food, pastries, traditional dancing and games galore. You can also immerse yourself in the language itself, with French classes for adults and children available as well. 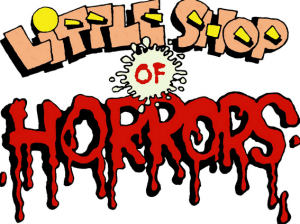 The Annual Zilker Summer Musical is performing the Little Shop of Horrors, a cult classic that is sure to entice the minds of all ages. Come enjoy this performance put on by ZTP through special arrangement with Music Theatre International (MTI). This Show will be Bi-weekly (every other Wednesday) and will feature artists from all genres who will swap songs and play acoustic works of art. Every show will feature artists from all over the US paired with local artists so come hear the artists you love in a more intimate setting. Fabulous menu and drink specials. The show starts at 8pm and parking is free. Austin Ale House is located right next to The Belmont on the corner of 6th and Lavaca. Come enjoy all these great events and look online for other series happening all throughout the summer in Austin! 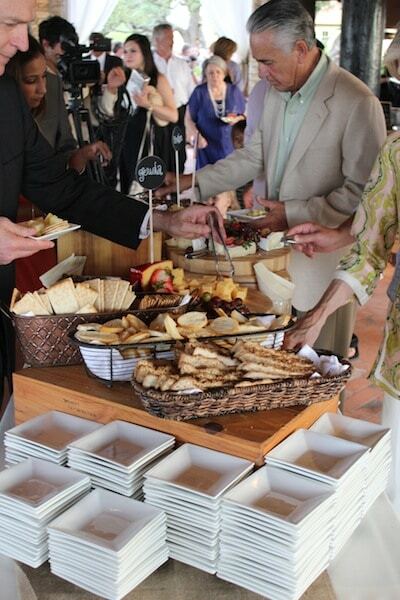 Keep Crave Catering in mind for any summer get-togethers, we would love to cater your summer events. 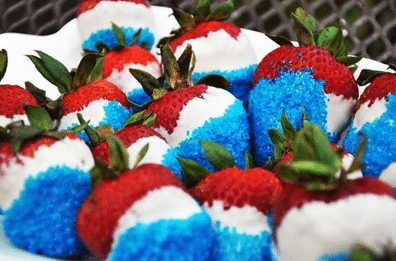 Independence Day is near and there is no other way to celebrate than with an All-American cook out decked out in patriotic swag to commemorate our wonderful country in all its glory. 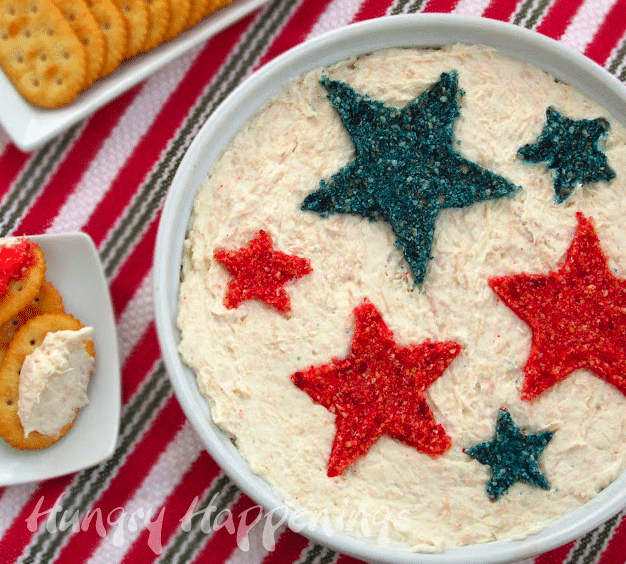 Below are some of our favorite Fourth of July recipes. We hope you celebrate this wonderful holiday with pride. Go USA! 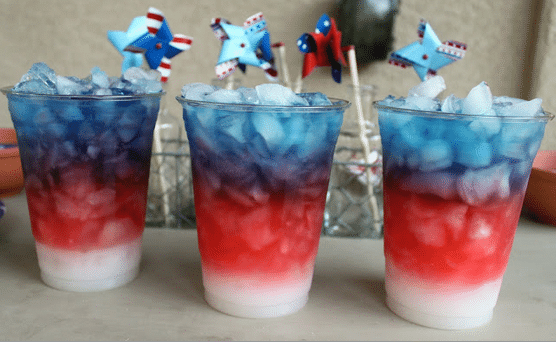 Start by filling glasses to the brim with ice then pour the drink with the highest sugar content into the cups (Sobe Pina Colada) and fill them approximately one third full. For the second layer pour the second drink with the lower sugar content slowly (Gatorade Fruit Punch) through the ice to fill approximately the second third of the glasses. Finish with the sugar-free drink (G2 Gatorade Blueberry-Pomegranate) and top each glass with vodka. The vodka will sit on top of the creation. Be careful, this drink can be very strong! 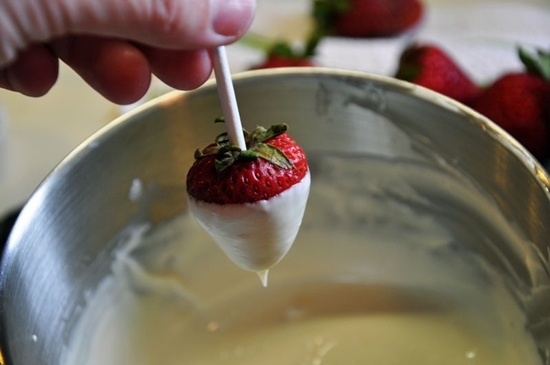 Melt one cup of white chocolate chips and one tablespoon of shortening in a metal bowl placed over some simmering water, and stir until smooth. Beat cream cheese, Miracle Whip, lemon juice, Worcestershire sauce and chicken together using an electric mixer. 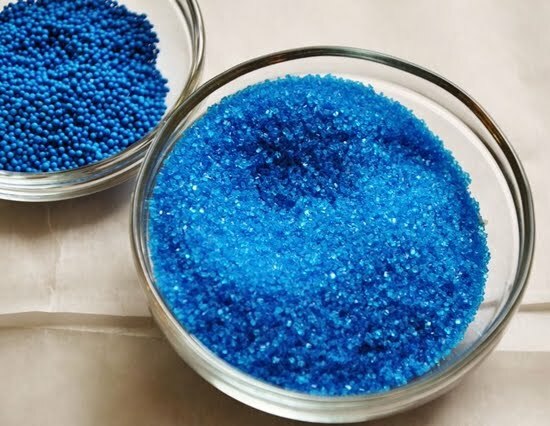 Spread into a round serving dish. 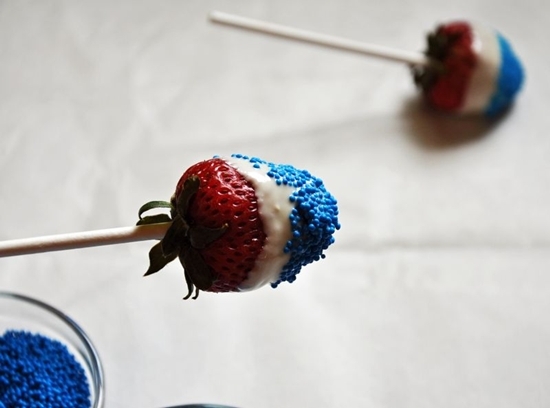 Have a safe and happy Fourth of July from Crave Catering!